Sweeping views of the changing hues of the sea, gentle waves lapping against the reef and pleasant trade winds fanning the trees all combine to create a tranquil respite at Seaspray. 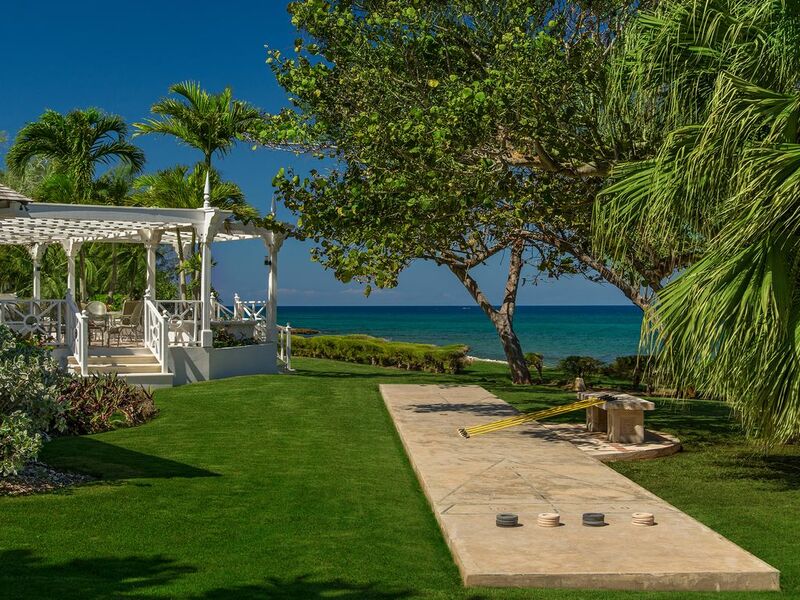 This delightful four bedroom villa set in an idyllic cove at the edge of the water is just a stone’s throw from the championship Tryall golf course as well as the private Club beach and water sports. Lofty ceilings, oversized windows and terraces exhibit Caribbean architectural features that maximize the nautical setting. The villa is single level, with a detached poolside cottage and the interiors are seaside casual. Three bedrooms are located in the main villa, while the fourth bedroom is located in a private cottage overlooking the swimming pool. The master bedroom in the main villa is furnished with a king-sized bed while the other two bedrooms have two twin beds each. Private patios complement each. The guest bedroom in the private cottage is furnished with twin beds and opens to the pool deck. All bedrooms have en suite bathrooms. From Seaspray’s shady courtyard entrance, to its inviting living room and instant views of the sea beyond the terrace, this is villa that encapsulates beach living.